Alex Heeren is running for Florida House District 66. SEMINOLE – Pinellas County School Board members Rene Flowers and Linda Lerner today (May 21) endorsed Alex Heeren in his race for the Florida House in District 66. Heeren has also been endorsed by Pinellas County Commissioner Pat Gerard, Belleair Beach City Councilmember Wanda Schwerer, and Belleair Bluffs City Commissioners Joe Barkley and Jack Nazario. Heeren was born in Seminole and has lived there for almost his entire life. Heeren was a math teacher for several years at Meadowlawn Middle School. He also ran a Girls Who Code after school program, and still coaches the school’s volleyball team. Heeren is now a technology integration coordinator with Pinellas County Schools helping teachers incorporate technology into their classrooms. 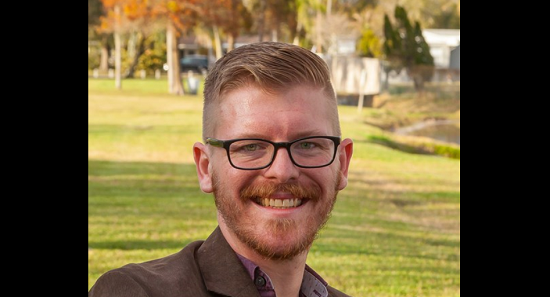 Heeren, a Democrat, is running for House District 66, which includes Seminole, Belleair, the north beaches, and portions of Largo, Pinellas Park and Clearwater. It is currently held by Republican Larry Ahern who is running for the Pinellas County Commission. Also running for the seat are Republicans Nick DiCiglie and Berny Jaques. For information about Heeren, go to alexheeren.com. Photo shows Rene Flowers, left, and Linda Lerner.